Your business website is a potential goldmine which, if strategically harnessed can lead to immeasurable riches. This makes it essential for you to hire a professional website design company whose experts possess needful insights into contemporary market trends. How to Select Professional Website Design Company? Offering your prospects a seamless online experience designed to inspire their faiths in your brand can be a daunting task. Only a team of ace designers aware of the drivers that command positive response from site visitors can pull off the trick for you. 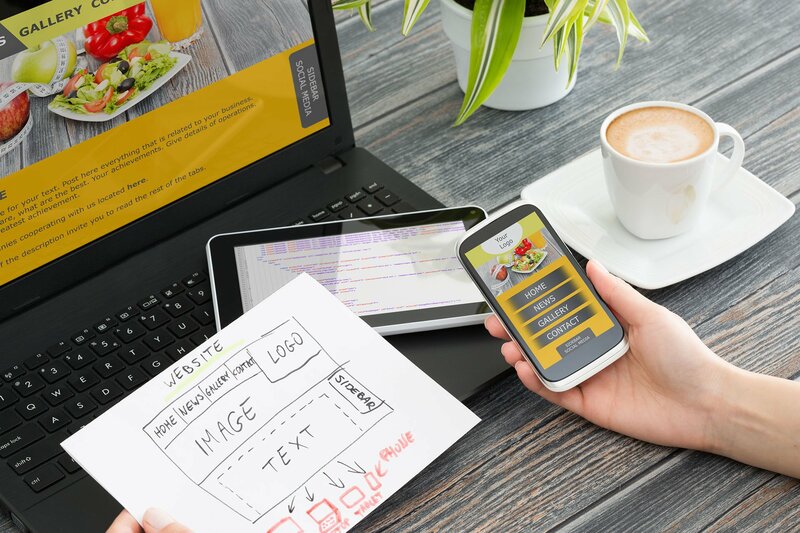 You can rely on these 10 proven tips for selecting the best web design company for your business site. Your business site would essentially be a dynamic one which would call for intuitive content management, integration with payment gateways, streamlining of ordering and shipping processes and other related activities. The firm should have experience of executing projects with cutting-edge content management systems like Drupal, hosting e-commerce sites, and delivering designing services for brands similar to yours. Demand from the company list of all sites they have developed and deployed in the past. Once you have the list, handpick a few sites and screen them. If the style of presentation, mode of intuitive navigation, page loading and transitioning times, the seamlessness of user interaction, content layout, the ready availability of actionable inputs and other parameters resonate with your needs; proceed ahead. Else, search for another service provider. The sites that you may have reviewed can prove to be appealing. However, you need to form an impression regarding the turnaround time of the company and the celerity with which they respond to customer needs. No one other than past clients can offer undiluted feedback about the same. Always ask for past client references to learn more about their experiences with the company, satisfaction with results delivered, payments charged, company’s adherence to commitments made and deadline, responsiveness and alacrity shown for troubleshooting problems etc. Also, make it a point to ask if they would recommend the Company. Enquire whether the company is willing to share in writing the net price they would charge for the project from scratch to completion. If the salesperson tries to dodge your query or act like an agnostic, be sure that there are cryptic clauses associated. Also, the final payment would be inflated compared to initial quote. Even if the payment structure is provided, ask if the consolidated payment can be shown in a segmented manner corresponding to different jobs executed and if the company is willing to give in writing the final payment. Seek quotations from few other companies to understand the industry rates and arrive at the most cost competitive one. The priority of the company should be affordable web design for small business. After getting your responsive web design live, you need to have it indexed by Google and other search engines. If the web designer offers to do SEO (search engine optimization) in addition to designing, you can save a lot of money. If the designer excels in embedding CSS (Cascading Style Sheets) in site’s code for easy indexing, your online efforts will get a significant boost at optimum cost. In this age of social media, you essentially have to maintain brand pages on social sites like Facebook, Twitter, YouTube, LinkedIn etc. The designer should be willing to set up your pages on prominent social media and backlink the same from your site. Website building involves scripting complex codes whereas designing implies creatively arranging the elements on the page to enhance the aesthetic quotient of the webpage and facilitate intuitive browsing by visitors. Enquire if the prospective designer offers both. You can gain a strategic advantage over niche contemporaries by launching your site at an opportune time. If the designer fails to deliver the completed site prior to this, your plans may be thwarted. Turnaround time for a web designer is important for your business prospects. If you hire a website design in Toronto and then decide to move your office, ask if the company would still provide post-deployment maintenance and troubleshooting support. This would come good also if you don’t want to invest in a web administrator. The designer needs to align his priorities with a web hosting service provider who can leverage your site’s potential and offer optimum results at minimum costs. Further, the host must adhere to eco-friendly policies to serve your promotional purposes. Equipped with tips above, you are all set to find the best web designer for your website. Search discreetly for best outcomes and long-term profitability.